– Social inequality to be addressed. – Social workers should be celebrated every day. – First Social Worker programme was implemented in 1971. – Promoting the importance of human relationships. – Social Work a demanding profession. – Social Workers a vehicle for change. DPI, Guyana, Tuesday, March 19, 2019. 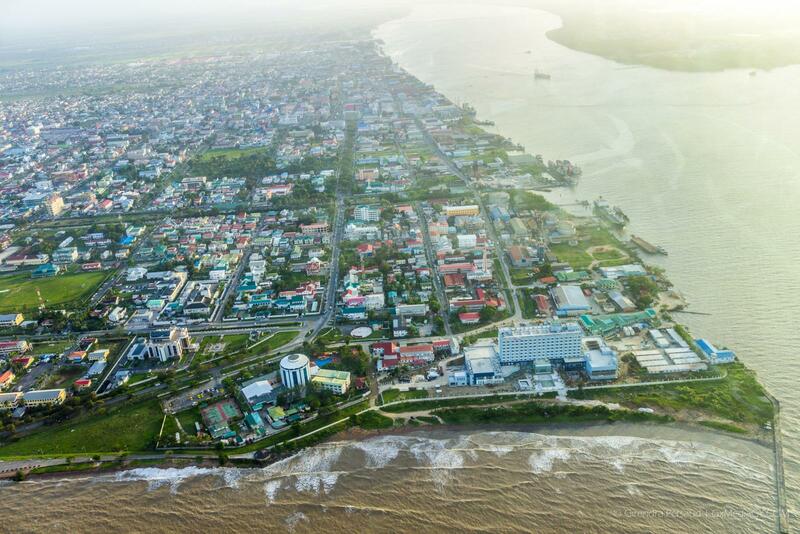 The social work arena in Guyana is bursting with talent and expertise and on March 19 more than 150 social workers were lauded for their contributions when the Ministry of Social Protection commemorated World Social Work Day 2019 at the Marriot Hotel. Addressing the gathering, Ministry of Social Protection, Permanent Secretary, Loraine Baird highlighted that social work is a multi-faceted profession which aims to improve the lives of persons by helping with social and inter-personal difficulties and promoting human rights and well-being. Ministry of Social Protection, Deputy Permanent Secretary, Mohan Ramrattan opening the seminar at the Marriot Hotel. Social Worker receiving token for committed service. A Group of Social Workers posing for a picture at the Marriot Hotel. Tokens presented to Social Workers attached to the Ministry of Social Protection for the years and commitment of service. Ministry of Social Protection, Permanent Secretary, Loraine Baird. A section of the gathering at World Social Work Day 2019. Ministry of Social Protection, Deputy Director of Social Services, Abike Benjamin- Samuels. From left to right are Ministry of Social Protection, Permanent Secretary, Loraine Baird, Retired Chief Probation Officer, Sylvia Conway, Director of Childcare and Protection Agency, Ann Greene and Ministry of Social Protection, Deputy Director of Social Services, Abike Benjamin- Samuels. Baird said that this year’s theme (what is it) reiterates the importance of the human relationship. She identified six core values; service, which entails helping people in need and addressing social problems, social justice which challenges social injustice, respecting the dignity and worth of persons, giving importance to human relationships, integrity and developing professional skills. World Social Work Day was launched by the International Federal of Social Workers in 1983 with the focus on social relationships between people’s essential relationship with each other and their environment. Baird also noted that social workers engaged with individuals, their families and others. They also work to support different groups including the elderly, young offenders, persons with learning disabilities, mental health problems or physical disabilities, substance misuse problems and persons who are at risk of abuse and neglect. 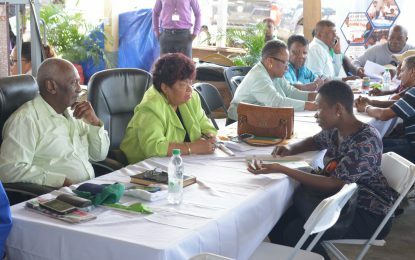 “Social Workers understand the relationship between and among people and function as an important vehicle for change,” Permanent Secretary Loraine Baird said. Ministry of Social Protection, Deputy Director of Social Services, Abike Benjamin- Samuels stated that human relations represent the core of social work. Samuels added that the profession of social work clearly contributes to positive changes and addresses serious social issues such as poverty, mental illness, domestic violence, trafficking in persons, racism and child welfare. “Social workers see the poverty every day and they also see the growing resilience in people who make use of social workers support and services. They strive daily to ensure that the voice of the disadvantage and the excluded members of society are heard and that social inequalities are addressed and that no one is left behind. That is the job of a social worker,” Abike Benjamin- Samuels added. Also, in attendance were officials from the Guyana Police Force, UNICEF, University of Guyana, NGOs, UNFPA, Georgetown Public Hospital Corporation (GPHC), Help and Shelter, Women Across Differences and Child Link. Several individuals within the Social services sector were presented with tokens of appreciation. 2019, Department of Public Information, DPI, government, Guyana, Ministry of Social Protection, World Social Work Day 2019.